← Do You Need to File Form 1099s? The IRS has adjusted the mileage rate for 2016. Do you have a simple form to track mileage? 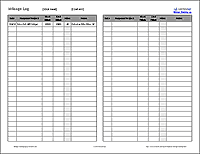 Excel has a form that will make it easier to keep track of daily mileage and for the owner to reimburse. 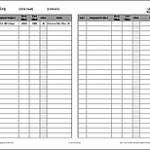 The Business Mileage Tracker includes a Mileage Log worksheet that you can print, fold in half, and store in your vehicle. Use it to record the start and end odometer reading, as well as the business purpose, whenever you use your vehicle for business travel. To read more about how this form works, click on this link. This entry was posted in Be Tax Wise, Employees, IRS tips, Quality Business Practices, Record Keeping and tagged business coaching, business mileage, business owner, expenses, IRS, mileage, mileage log, mileage rates, mileage tracking, standard mileage rate. Bookmark the permalink.